Since the breakthrough discovery of the Majorana particle in 2012 in Delft, researchers faced great challenges. An international team of researchers from the Netherlands (QuTech, Microsoft and Eindhoven University of Technology) and United States (JQI Maryland, UC Santa Barbara) joined forces to understand the next steps required to improve the experiments. Now, the scientists provide a complete toolbox for the final proof of Majorana existence, paving the way towards Majorana quantum bits. They publish their work in Nature. Majorana quasiparticles appear in materials in extremely restricted conditions. When a nanowire made from a semiconductor is connected to a superconductive material, researchers see a so-called zero-bias peak in the case of certain electric and magnetic fields. This signal is the main characteristic of the presence of Majoranas. In the first experiment of 2012, the zero-bias peak was noisy, and difficult to see. This made the Majorana appearance debatable. In the years that followed, researchers worked very hard on improving the theory, materials and the experimental fabrications. The past months multiple breakthroughs followed each other, completing the research trilogy. Transport in the required materials is improved in two steps: high-quality interfaces and superclean Majorana transport. Furthermore, the design of nano-hashtags allowed for future exchange of Majorana particles, the final step required for topological quantum computing. This experiment closes a chapter in the quest for Majorana particles, and opens a new chapter to work towards quantum information processing based on their properties. 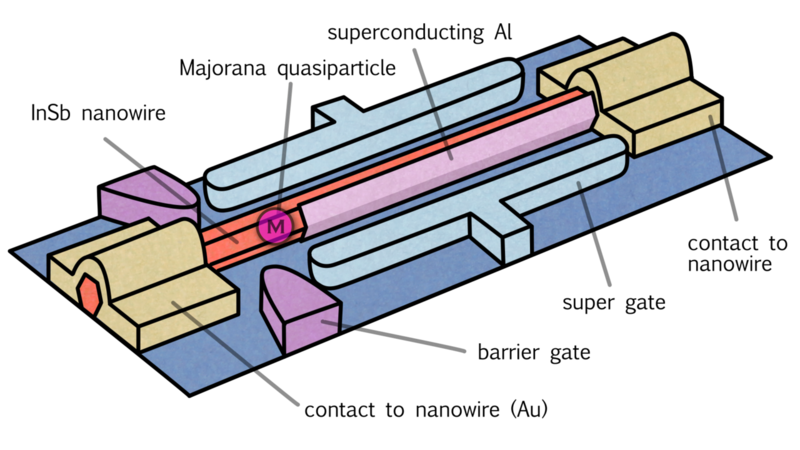 Their unique physical characteristics make the Majorana particles much more stable than the majority of other qubits. Making and regulating these Majoranas on the way to creating this topological quantum computer is still challenging. The level of control and understanding that is reached now, allows for the exploration of Majorana quantum computing. This work was performed in close collaboration between QuTech, TU Delft, JQI(Maryland), Microsoft, TU Eindhoven and UC Santa Barbara.